I must admit in recent years my relationship with Clinique has been non existent as there are soo many brands out there and I've been trying to test out as many products as I can to review; but this package brought back so many memories of my teenage-hood where I religiously used their 3-step skincare thanks to my mum (mentioned in my GRWM with Aysha Begum here), and many bonus-times I'd taken advantage of where I first discovered Moisture Surge. MOISTURE SURGE The Moisture Surge products from Clinique are aimed at those with dehydrated/thirsty skin who want something oil free. Most of the products generally have some form of Aloe water in them which is a natural hydrator, but also has many other skin benefits. I actually own an Aloe Vera plant for my sons eczema but also use it when I have an allergic reaction and want to avoid using any products that may aggravate it, sun/wax burns or as a mask even! It's also known to be good for helping with scars or acne, so it's pretty much a wonder ingredient. The full range (here) includes various moisturising skin care products and two "colour" products (a CC Cream and tinted moisturiser). I was sent the new 72-hour Auto-Replenishing Hydrator, Hydrating Supercharged Concentrate, Overnight Mask, Face Spray Thirsty Skin Relief and a Pep-Start Pout Restoring Night Mask. First and most importantly, we have to talk about the 72-hour Auto-Replenishing Hydrator, which has replaced the "Extended Thirst Relief" from back in mine and my mum's bonus-time buying days. I used to have pretty dry skin, so I quite liked the old formula back then (which claimed to keep skin hydrated for 24 hours I think), but I did prefer the Dramatically Different Moisturising Lotion as it felt more creamy/comforting. This new formula is a gel-cream and is lightweight, now with Hyaluronic Acid, Activated Aloe Water and Caffeine. The theory is that the skin's Trans Epidermal Electrical Potential (TEEP) is a vital ionic “pump” that becomes damaged over time, so loses the ability to rehydrate itself. The Activated Aloe Water + Caffeine stimulates the water pump and creates it's own water source to keep rehydrating along with Hyaluronic and Humectants attracting and locking in moisture. Interestingly, Dimethicone is listed as the second ingredient (here) which is pretty high up and also an ingredient that locks in water as well as helping spread a product easily, as found in most primers. I'd say it's good for pretty much all skin types, particularly dry/combination skins, but I do find it slightly sticky and it seems from reviews online that really dry skin types drink this up better. This new formula claims that it will give your skin the power to rehydrate itself for 72 hours - even after washing your face. Now this last bit I have to say had me sold as many of us Muslims have to wash our faces several times in the day (before we pray) and truth be told, London/UK water is so hard it always leaves me feeling tight. I've tested this "after washing your face" statement (washed my face x3 times, no makeup on) and I have to say I have no tight feeling after; if anything the stickiness goes and my skin is just left feeling nice and soft, but this may not be the case for extremely dry skin types of course. The cons I have about this product is that I'm sure it's a bit more sticky than the original moisture surge thirst relief and takes longer to absorb than I remember, the jar packaging is a tad bit unhygienic and lastly, it can ball up (pill) if used too heavily or with a dissimilar foundation that's more water based. I also like that as with most Clinique products its allergy tested and fragrance free as well this product particularly being oil-free and non-acnegenic. It's £36 for 50ml which isn't cheap for the size, but if you're combination/oily skin, chances are you'll use way less of this as I find a little works better than using a lot as a daily hydrator (especially if used after another moisturiser). This product is a water-gel formula compared to the gel-cream consistency of the 72-hour Hydrator and claims to boost the skin's moisture reservoir for 24 hours. There are visible bubble-looking things in this product, but they don't look like air bubbles, they look like they're filled with oil or something. This is what Clinique describe as their "Liquid-Sphere Technology" that combines water binding ingredients (hyaluronic acid) with encapsulated antioxidants (vitamins C and E). These antioxidant bubbles burst on application and blend into the skin, helping fight aging. Compared to the 72-Hour Hydrator I do feel like this one is slightly less sticky feeling, but still takes a while for my skin to "drink" it. I do like that the pump packaging is more hygienic and travel friendly seeing as it's a moisture boost and marketed for travelling on skin-dehydrating airplane journeys; it's also a bit aesthetically pleasing with the bubbles! Again it is oil-free, fragrance free, allergy tested and non-acnegenic. £36 for 48ml HERE, but again less is more for combination/oily skin types. As the name suggests, this is an overnight mask and of course a hydrating one that is like a "net" that helps protect from night time moisture loss. 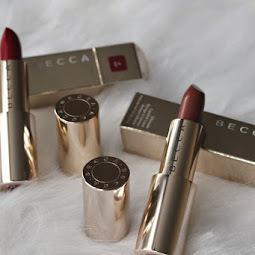 The formula is creamy compared to the previous two products as it contains shea butter quite high up on the ingredients list (here). It's in between a cream and lotion in consistency as it's not super thick but heavier than the 72-hour Hydrator and the Concentrate. It also contains mango and murumu seed butters, olive extract, pomegranate sterols and of course Aloe water, all of which help with replenishing lipids (fats) in the skin and also help with longterm moisture. This is my personal favourite so far from the range as it feels the least stickiest and I generally still prefer to wear creamy feeling products for some reason, as I feel like they're more comforting and nourishing. This one feels like it plumps my skin nicely overnight and by morning it does feel like it's been absorbed rather than just sat on top of the skin. Again a little goes a long way and you get a whopping 100ml for £31 which compared to the last two products is a bargain; I'd even go as far as saying you could use this before a matte foundation like Estee Lauder Double Wear, especially if your skin is particularly dry as this also has Dimethicone in it so it can work as a great primer. Another way to rehydrate your face, this oil free spray contains hydrating and soothing Aloe water and soothing Chamomile and I've actually found myself using this the most frequently out of the products sent, whether it be during the day for a spritz of hydration to my skin when I'm feeling thirsty whilst fasting (mouth closed of course - it doesn't taste nice anyway lol) or after my usual light baking under my eyes with setting powder. I've actually been using it more than my usual "rehydrating" sprays (MAC Fix+ and Too Faced Hangover) and this is purely because of the way the nozzle sprays; it is so much more of a "mist" than any of the other products' nozzles - I love the Too Faced Hangover spray for the coconutty scent (and the new MAC Coconut scent too), but it feels like I'm being showered in the Hangover spray and the MAC nozzle can be a bit hit and miss sometimes and spritz out droplets/shoot like a mini water gun if not pushed down properly. Both of the others I'd say are similar in levels of "stickiness" as they all have Glycerin fairly high in their ingredients list, but I feel like I need a little of this especially after baking. I find it's less sticky than MAC Fix+ and a little more than Too Faced. Overall this one has been a hit for me because of the actual "mist" and at £22.50 for 125ml it's actually the best value for money compared to the other two as it's 18p/1ml compared to 19p/1ml for MAC Fix+ and 23p/ml for Too Faced Hangover. Last but not least is this non Moisture Surge product but very relevant to Ramadan and dehyrdation in general - a lip mask. Of course when you're dehydrated (i.e. fasting), your lips are probably the first thing to show a sign and generally I avoid my usual fave lip balm in Ramadan (EOS) because it is mildly sweet flavoured. 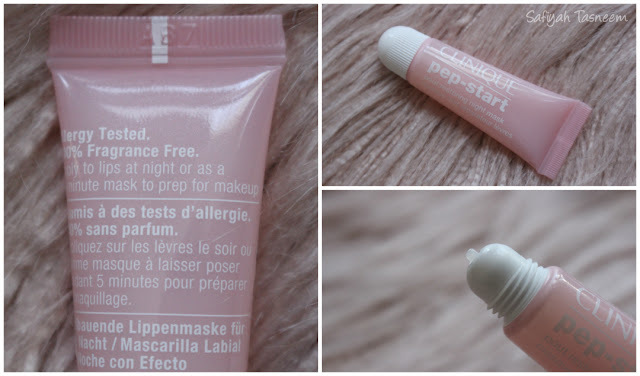 This Pep-Start lip mask is of course fragrance and flavour free, but does contain petrolatum as it's first ingredient so if you're not a fan of the waxy feeling of Vaseline then you may not like this, but Nadine Baggott recommended it in a recent video so I was intrigued to try it. It does however also contain shea butter and murumuru seed butter like the Moisture Surge Overnight Mask above, which are nourishing ingredients. It's £16 for 10ml which isn't cheap, but if you're into barrier type lip balms for overnight/longhaul flights then this is a good option to look into. Personally I do prefer a less waxy feeling under lipstick or even overnight; so EOS I still wear during eating hours in Ramadan or the Homeoplasmine I mentioned in last years blog post. If my lips are really chapped, nothing beats Lanolin based products for me especially after learning about this miracle after breastfeeding; and if it's safe enough for a newborn baby then it's safe enough for me! As I said at the beginning of this year, I plan to give back to my lovely supportive followers as much as poss and I had to ask about a giveaway for this of course, especially after seeing the reaction many of you had on my Instagram to this package! I don’t use Clinique products, so I can’t comment on my favourite unfortunately. But I love your very detailed review of these products and would like to try the lip mask or face spray! Thanks for the in depth review. I haven’t used clinique before but I saw these products on your ig story a few weeks ago and would like to try the overnight mask, sounds and looks good! 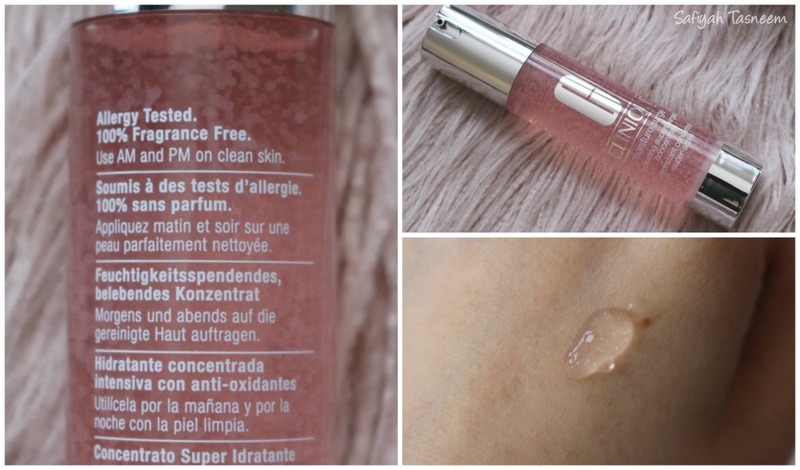 My fav is defo the hydrating replenisher—it’s like my face drank a litre of water! The clinique fresh pressed vitamin c powder is my go to, especially since my skin tends to get very dull. It's one of the few items that gives a brightening effect to my face. As someone with dry skin I love hydrating products. The moisture surge set would be great to have and try, looks amazing and so pretty too. 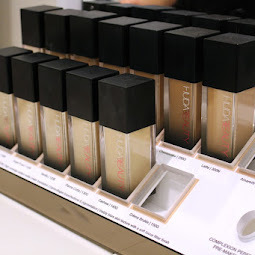 The clinque beyond perfecting foundation. Only tried the sample, but it looked really good! I love the Moisturge surge cream. Even though I have combination skin, it makes my skin hydrated and not oily which I love especially in this dry weather! Haven’t tried Clinique in a long time, but used to love there step programs for the face. 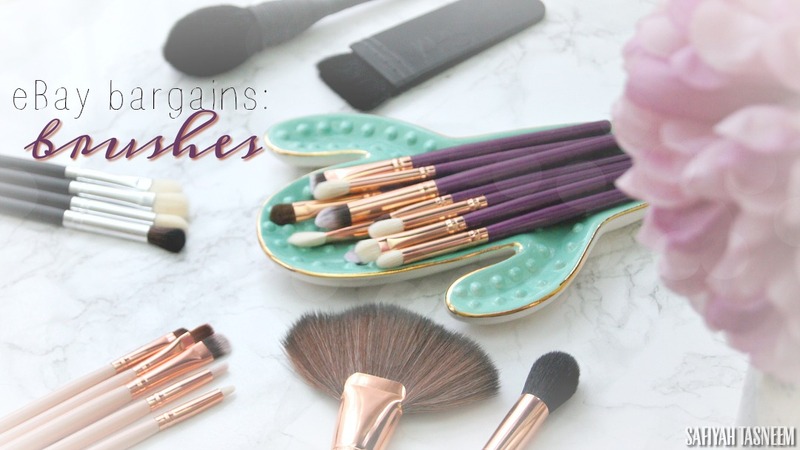 I love how detailing your blog posts are ! How you break out all the details ...I don’t own any Clinique products sadly..would love to try the moisture surge moisturiser.. I love the clinique moisture surge which helps make my skin feel so much more hydrated! 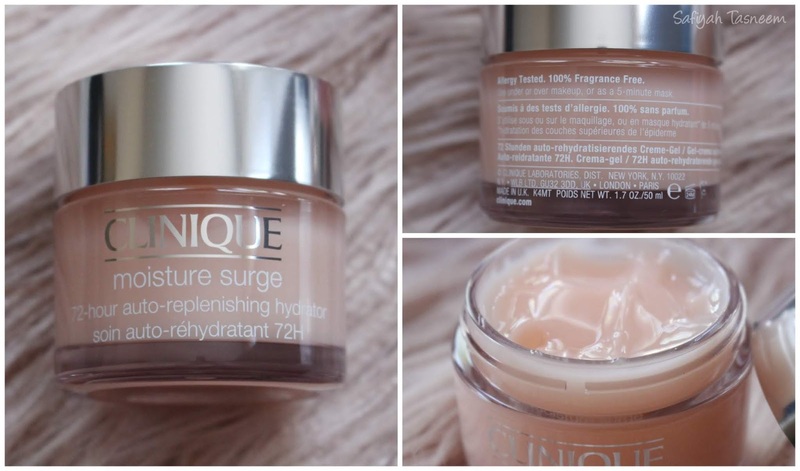 The moisture surge range is one of the most exciting releases by Clinique yet! 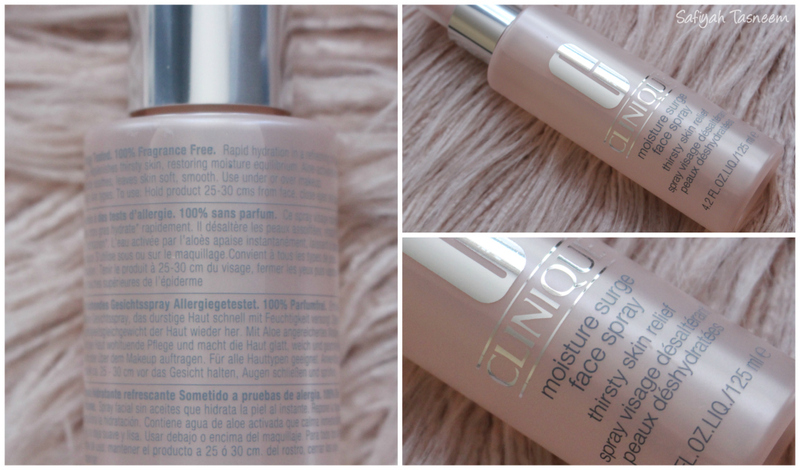 I’ve tried out the moisture surge moisturiser and my skin instantly loved it! I love that it not only battles dehydrated skin but it also does it without irritating my sensitive skin! A staple range! Loved the review Safiyah! For someone whose wanting to try out Clinique products, this would be a good place to start! I haven't used clinique for a while. Years ago used clinique facial soap. Would like to try the moisture range and see if it helps bring some life back to my skin! Currently use Khiels products and while my skin looks fine would like to try something that might give it a boost. Thanks for the indepth review. Always makes me want to go buy and try! There's No doubt, my favourite is the Clinique, Moisture surge 72- hour replenishing hydrator..Luckily this was my latest purchase and i must tell that i fell in love with it Instantly..I am a dry/combination skin person, I applied this before my foundation and got the best compliment from my husband! He said "woah ur makeup looks so flawless today." Which he had neva told me in these many years..He always scolds me saying," oh my, u watch so many tutorials on youtube and still ur makeup looks cakey" that he could visibly see my dry patches😣"..i was always in search of a good moisturizer because if the base if well hydrated then our foundation wud always look "FLAWLESS"..And now even my hubby loves this moisturizer and thanked me for introducing it to him.. Thank You Saf babe for the quick blog, Lucky i read this and I've got to tell my hubby about this asap😉.. I've never tried Clinique products before. Thank you for the in-depth review. All the products sounds amazing, especially that moisturiser and lip product. I haven’t tried any Clinique products but the spray sounds so good! Might have to invest after my fix + finishes! Just like you I used Clinique religiously in my teens. I lost touch and tried other brands, but we've been reunited lately and it feels so good :-). My favourite is still the dramatically different moisturizing lotion. I love the Clinique cleansing balm. It removes all my makeup so effortlessly. It's so gentle on the skin too. All the products mentioned sound amazing! I love the Clinique dramatically different gel moisturiser as I have oily skin. It moisturisers my skin without making it oily through out the day which previous moisturisers have. I really like the moisture surge face spray, especially when I need a quick burst of hydration on the go when I'm working or not at home, as well as the feeling of the nice mist :). I really enjoyed your review! I'm glad you also like the face spray. 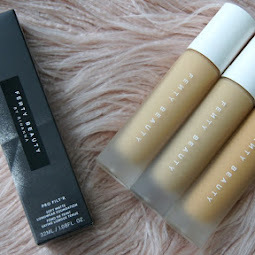 I have only tried a foundation sample years ago I really like it but didn't kniw the name or shade. I love the Clinique Chubby Sticks - take me back to being a teen!! Also thank you for yet another informative post - I always learn so much. You're such a babe! I have yet to try out any Clinique products but I’ve heard MANY great things about the moisture surge range and would love to try it out but it’s really expensive so it’s just on my wish list right now! I love the moisturiser! It’s my favourite cream ever. It’s actually become my holy grail! It’s the best! 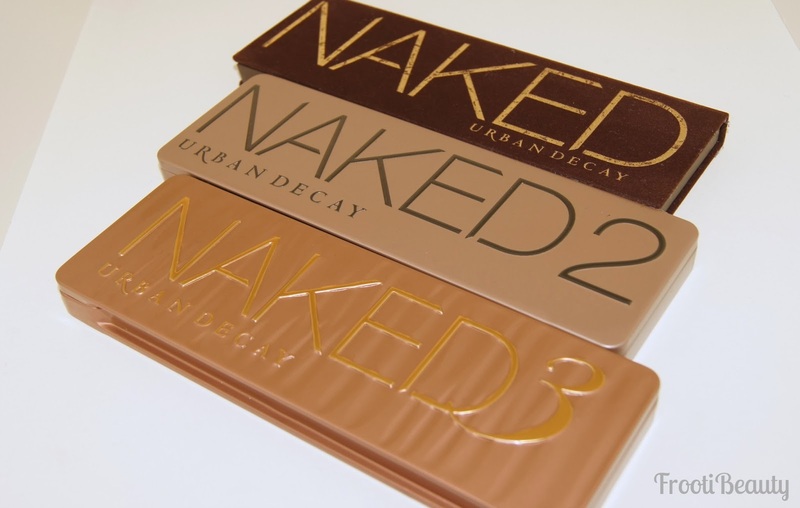 I never knew they had other products in the range they sound amazing and I really need to try them out!! Favourite product I’d Clinique take the day off cleansing balm, I’m in love with balms and building up a collection but can’t quite decide between this or the Emma Hardie cleanser! Amazing blog post! 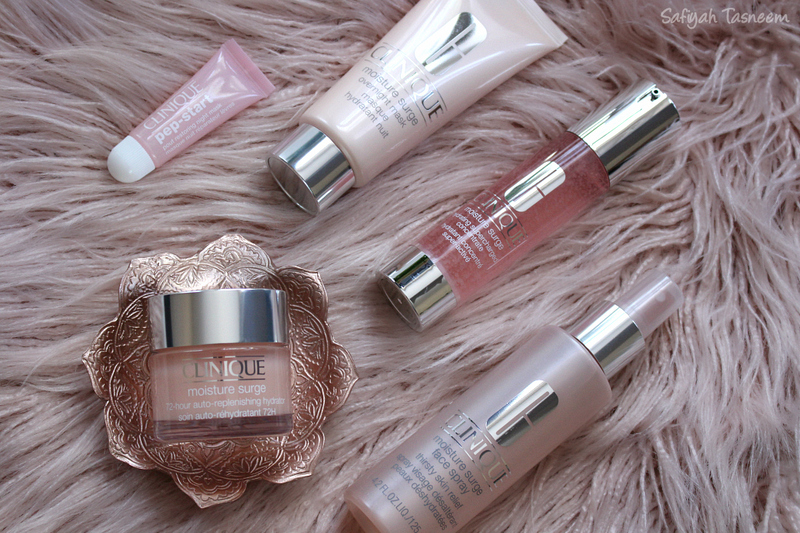 The moisture surge range is saving my skin right now- the fave has to be the eye cream! Hydrating supercharged concentrate is sooo good! I have dry skin especially in Ramadan and it has helped a lot!!! Love this blog post Safiyah super informative. My favourite Clinique product is the pep-start hydrorush spf20 moisturiser is makes my skin so hydrated leaving it feeling soft and supple. Thanks for the opportunity! I am in love with Clinique's Dramatically Different Moisturizing Gel! It's been my HG since ages. I started using it when I noticed how dehydrated my skin got after I turned 20. I used this moisturizer when I had acne and throughout the time I was on isotretinoin. I genuinely recommend it to anyone that has oily dehydrated skin. It makes my skin feel super plump without being heavy or greasy. The Clinique Chubby stick is actually the only product I’ve actually been able to try and I love it! So moisturising and soothing on the lips and great colour range!